This Christmas, instead of sending traditional cards and gifts to our clients, we’d like to truly embrace the spirit of ‘giving’ with our very own 12 days of Christmas. 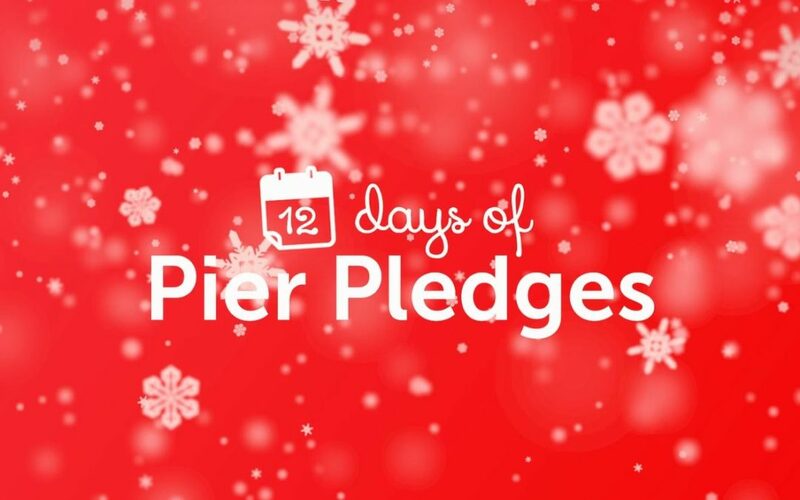 So, throughout December we’ll be giving back with a series of ‘Pier Pledges’. Spreading Christmas cheer amongst the community. Doing good deeds for a variety of noteworthy charities. Supporting young people, helping the homeless, and much more! Every day, we’ll be updating you on our Pier Pledges via our social media channels. You will see us fulfilling our pledges, whilst also finding out how you too can get involved with these incredible charities.